Here are this week's Publix deals! The deals for this week catch my attention and seem to be very good. I personally am a fan of the Horizon organic milk and also the Earth's Best baby food! So when Hubbs gets home from work today....I am [minus the 2 kids] off to Publix for some shopping! You'll find printable coupons in red and non-printables in blue. Be sure to check out the the Publix BOGO post and the Publix ad before making your shopping list. *Different stores have different competitor coupons. This list features them all, so ask your store's customer service associates what is allowed in your store. Most stores allow "stacking" of 1 Manufacturer's Q and 1 Store coupon per item. Watch the screen during checkout or check your receipt immediately, and remember the Publix Checkout Promise! Less populated regions do not receive all of the newspaper insert coupons that other regions do. To purchase specific coupons from a larger region's paper, check out The Coupon Clippers! Fiddledeedee is featured in BeCentsAble's weekly Grocery Gathering.Check it out here! See the current Publix ad here. 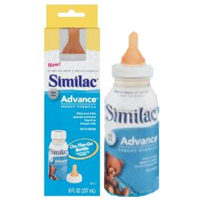 Use the $3/1 printable coupon HERE at Babies R Us where you'll find Similac On-The-Go 8-oz for $2.49. Reports are that the coupon does not beep and may possibly give you $.51 overage to be used on other purchases! back by popular demand...this is what my familia and I will be eating this week! if you would like the recipe to any of these, let me know! Head here to print a 50% off one Outerwear item at Old Navy. The coupon is valid from 10/26 to 10/28. Note: This is a Facebook coupon. Just found this coupon....jump on it! 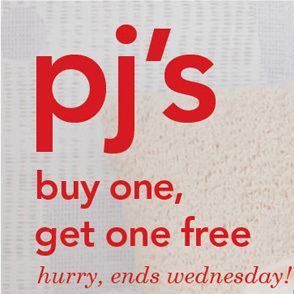 Carters: Buy 1, Get 1 Free PJ's! I am very excited about this deal since I have a toddler at home who seems to be outgrowing everything in her closet. I can not wait to go and buy her some PJ's and use my 20% off coupon! Kerry at Totally Target has the Target deals for 10/17 posted. Here are a few of my favorites. Be sure and see Kerry for the full ad! Interested in knowing what coupons will come in the paper this Sunday? Heading out shopping this weekend? Skim over this list first to save a little extra! Express – Sign up for their Email Newsletter and get 15% off your next purchase. Fashion Bug – Sign up for their Email Newsletter and get 15% off your next purchase. Fashion Bug – Text BUGBYTE to 50799 to receive a $10 off or more coupon. Gap Outlet – 15% off first purchase when you sign up for their email newsletter. Walgreens – Various Candy Coupons in the October Coupon Book (found in-store). Thanks to Saving with Amy for this awesome post!